A wonderfully delicious cannabis massage cream for just about any muscle pain or skin ailment. Infused with just the right amount of decarboxylated cannabis or concentrate adds just the right touch of medicine to this wonderful elixir. This THC cream does it all- Sore muscles? Arthritis pain? Rashes? Bug Bites? This is the cream for your medicine cabinet or purse. Our test panels have given this rave reviews! Better still is to have a lover or friend give you a full body massage with this stuff- now that is pure bliss... Consistency is dependent on whether or not you whip the oil as it's setting up. 15-50 Drops Essential Oils (for improved scent) Lavender, Eucalyptus, Tea Tree, Etc. In double boiler, melt all oils together. It doesn't really matter if you have all the ingredients. Have fun and experiment- the different oils are to give the finished product a different consistency than just infused coconut oil. Add Essential oils as needed when setting. Whipping is key, but you need to wait a bit for the oils to set back up before whipping. Be careful, because this can be messy, but if you have cuisinart or immersion blender, or you're really strong and can just whip the crap out of this stuff, go for it. It gives it a much nicer consistency, as we all know solid coconut oil is rather challenging to work with when cold. Feel free to experiment with different oils and strengths here- try fractionated coconut oil for more of a massage oil consistency. Try adding cocoa or shea butter for a thicker consistency. Avocado and almond oils are very nice to thin out the mixture as well. You almost can't mess this stuff up, seriously. Just be careful if you have any nut allergies or tell friends what's in it before giving it to them. No one from our test panels have reported getting 'high' from application of this cream, but do report extreme comfort and relaxation when using it! Also, look for fun and funky containers to put this in and give away to your friends and loved ones. We found some empty lip balm tubes online as well as the empty tins. We also got the amber and cobalt glass jars for storage. Best to keep this in the refrigerator, as it can tend to spoil easier now. Take it out the morning you plan to use it and you should be good to go! Please note, the two examples pictures were liquid oil poured into those containers, but works just the same as the whipped version. What is the purpose of whipping and is it necessary? What can I use for taste? Wouldn’t fractionated coconut oil, as it is a liquid at room trmp, work similar similar to olive oil. Hi Angie: You certainly could. Though I did a bit of research and found fractionated coconut oil has only a fraction of the healthy fats that are good for you. If you were interested, the brand Foria (a personal lubricant infused with cannabis) uses fractionated coconut oil. Nothing wrong with it per se, I think you’d be missing out on some of the goodies that come with the fully leaded coconut oil :) Alternately, olive oil is good, but depending on what what you’re putting it on or in, it can have a heavier taste. I prefer the coconut oil that’s got the flavor taken out, but all the healthy fats. Good luck and Let us know what happens! This product can use for man? Or only women?? This can be used by either gender. Skin is skin and pain is pain and this works equally well on men and women. If already have ready cannabis oil and just want to make a topical balm from it, with a ready-made base, What base would be best, and does one need to heat the base to mix the oil into it? Would emu balm be good? Emu oil would be a great oil to incorporate cannabis oil into. I would heat the oil to 180-200ºF mix for 10-15 minutes, and let cool. Put into smaller jars to easily dispense when needed. Other oils: grapeseed, apricot, shea butter, olive oil, jojoba oil… the list goes on and on… just pick an oil you’re not allergic to! We use beeswax to solidify our oils if they get too thin and we want more of a salve consistency. Hi Paul: We go for the strongest oil and butter we can make. Have you checked out our ‘basics’ section of the site? http://weedchefs.com/category/cannabis-marijuana-basic-recipes/ If that doesn’t answer your question, let us know and we’ll see if we can help you further. Thanks for visiting! If this balm really has such a beautiful texture and the ability to take away pain, then this is a perfect tool for everyone. Thank you. We certainly think so… We also found that lemongrass and lavender essential oils are the best at masking the smell of cannabis. Thanks for visiting! Does this impart any of the THC’s psychedelic effects? Just quickly wanted to give an update on myself as far as the salve/ wax is concerned I first started buying it at my dispensary which is why I am on here trying to make it myself as I make my own cannabutter and cannoil I’m still a little confused but think I got it just not sure if I’d be better off buying beeswax then infusing? How long does the oil last for if kept in dark container in a cool place or fridge? I would keep it in the freezer if possible as it should last longest there. I’ve stored butter for a year in the freezer before and it was still potent. Hi, was just wondering what essential oils are best to cover or lessen the weed smell in the butter? Hey Jennifer: Lemongrass, Tea Tree, Lavender, Peppermint… start there. But don’t eat it. For lip balm and topical only and be careful with the peppermint as it can burn, but it smells great. I use wintergreen for my salve as well as rose essential oils. I only use topically not edible. I usually use 1gram if bud to 10 ml of oil to make capsules would this be string enough? Please see other comments in this thread as to how strong to make this salve. I aim for 250-400 mg THC per fluid ounce of salve. I was wondering if I have marijuana oil already made for us from a clinic how much do I add to the the recipe you have posted? Hi Romina: I usually aim for 250-400 mg THC per 30 ml (1 ounce) of salve. Of course you can experiment with more or less depending on how much you have on hand, but logically, this seems like a good amount, especially since you can use trim or popcorn buds to make this oil. Make sure to add some nice essential oils like lemongrass and tea tree to help manage the very medicinal smell you’re sure to get from this very powerful salve! Good luck and let us know what happens! Have you found that the terpenes of whichever strain you use come through in the balm? Or are they all pretty much burned off in decarboxylating when making the canna coconut oil? Hi Rachel: So long as you don’t have any allergies, I’d say any oil would be safe to use on sensitive areas. You might want to be careful with the essential oils you add, but coconut oil and cannabis oil don’t cause irritation unless you’re allergic. Please feel free to experiment with cocoa butter, shea butter, beeswax in addition to coconut oil, which is the best oil and ‘holds’ the most THC, as it has the most saturated fat. After that, I’d try to find some cute/clever molds that you can use to pour this mixture into, and when you need one, pop it out of the mold, and give it a go! Best of luck to you and please let us know how it goes. I attempted to make muscle rub and used 2 beeswax candles with infused coconut oil and essential oils. It yielded an ok amount when melted ( 1/4 of a 2 quart crock pot ) The mix came out very unworkable and too hard to apply. What can I use to make it softer and workable for use? I tested it and the effects worked for pain relief and soreness it but was too waxy. Hi Bill: I’d say there is too much beeswax in your mix, making it too hard and unworkable. A couple suggestions: heat (maybe on a coffee mug warmer?) what you have until you can apply it to your skin, or simply melt the whole thing down again and add more plain coconut, apricot, jojoba or avocado oil… this will thin the mixture out and should be much easier to apply this way. Where can I order? ?? Unfortunately, federal law prohibits us from selling this to patients in need. That is the reason this site exists, so we can help those who don’t have as much access to cannabis in their home states as some of us do. These recipes really do work, if followed correctly. All you need to do is find yourself some cannabis or a friend who grows and you can start experimenting. Best of luck. Storage: glass container or is plastic container OK? And should this be refrigerated or is it OK left out on the counter? And how long is the shelf life on this? Glass opaque containers are always best, but plastic should suffice if it’s all you have. Oils will definitely last longer kept in the fridge, but it can be more difficult to scoop some out when the oil is hard from being in the cold refrigerator. I can’t imagine this wouldn’t last several months on the counter as long is it’s kept in a dark cool drawer. Best of luck and let us know what happens! I have had success with homemade canna salve lasting 6 months or more without refrigeration but I also live in the NW where it’s cooler. Beeswax and coconut oil instead of shea and other oils will definitely help your salve not go rancid as fast as they are naturally anti bacterial. I usually add lavender essential oil as that also helps it last longer due to it’s anti microbial qualities. Young Living essential oils AromaSiez (muscle relaxant), Copaiba, and Lavender help my pain, can I add them to the Coconut oil cream? I was wondering if you add more cannabis to the recipe will it be stronger or does the strength top out? I bought some from my dispensary they use Olive oil and beeswax. It works but I end up applying it at least twice. Also can you use the crap cannabis like leaves, stems and the such and get the same result? Or do you have to use good bud to get maximum pain relief? You can add a lot of cannabis/THC to this pain salve. Presently, I have some that has has about 700 milligrams THC per ounce (30 ml) of salve. Works great. If you were going to use crap leaves/stems, etc, I do think that salve would be the best place to use it, as you wouldn’t be tasting it. But please remember the golden rule of cannabis extraction: Garbage in Garbage out. Your oil will always be as good as your starting material. You cannot get around this unfortunately. Good luck and let us know what happens! I’m a little confused as to why you mention using cannabis/ THC in a pain relief (non edible) formula. The psychotropic effects of THC are not what is needed for pain but the cannabinoids are CBD. did I miss something here? Hi Lori: I can understand where you might be confused. Though the body cannot absorb activated THC the same way it does when you put it in your mouth like a traditional edible, all cannabinoids have been shown to provide different properties of relief for patients. THCA provides different types of relief than THC. Ditto for CBDA and CBD. Best for pain relief we’ve found is a combination of bioavailable THC and CBD oils together. Every patient we’ve given our THC salve to loves its analgesic properties, plus it’s all 100% naturally grown. And to be clear, you cannot get high from topically applied THC salve. If you were looking to get high off topically applied THC salve, add DMSO or another chemical like that to achieve that result :) Be careful! If I already have 40ml of 27% oil that i have purchased, what would be the ideal ratio of coconut oil and bees wax to make my own balm? Hi Dave: Is this oil 27% THC, and what is the base oil you’re using (olive, grapeseed, apricot, coconut)? If so, I’d add the whole thing and 1-2 Tablespoons of coconut oil. Then add some lemongrass essential oil to kill the horrible smell it’s bound to be making at that point… we also use some lavender and peppermint or eucalyptus just for fun. Make it smell good or you won’t want to use it though!! Then add some beeswax for consistency. Hard to tell, but start with 1 tablespoon (15ml) beeswax and work your way up from there. When experimenting with consistency and the whole mixture is still liquid, drop a few drops on a colder countertop so it’ll harden right away, then you can scoop it up with your thumb and finger and check the consistency easily. You might need more beeswax, maybe more coconut oil. Just experiment and have fun… you really can’t mess this up. Hello, I’m wondering if it matters if the coconut canna oil is more CBD based or is it only effective when you have a good amount of THC? Hi Amanda: Depends on what you are trying to medicate for… Remember CBD oils have different properties than THC oil, and studies have found that the entourage effect (using both CBD and THC together) gives the most relief from pain, stress, inflammation, etc. Please let us know if you have any more questions and how things go for you! What is a reasonable price per ounce? That’s a great question and is directly related to supply and demand. At the end of a growing season, you can get some nice outdoor flower for pretty cheap if you don’t care if it’s not pretty (but still with a lot of THC). If you have a friend who grows, maybe you can get it cheap from them. We grow all our own, so price per ounce isn’t of concern, but 1 oz bud could run anywhere from $100-$200 per ounce- again, depending on many factors. Where you live and what time of year it is. Supply and demand rules pricing of everything :) Good luck! Was wondering if I could use RSO in your recipe? Thanks! Hi Victoria: I cannot see why RSO would not work the exact same. Though I have to admit, the original RSO video made by Rick Simpson, the dude uses Naptha (camping fuel essentially) as a solvent. That’s nasty even if most of it burned off when he cooked it down. I prefer everclear as a solvent, though it’s more expensive, but a hell of a lot safer! RSO is good stuff and wish people had more access to the real deal. 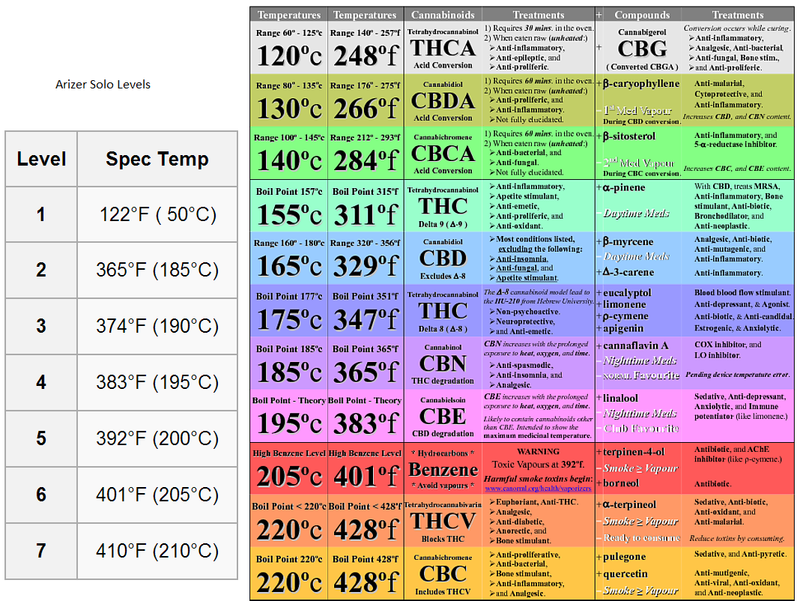 Hello, Where can I get my oil tested for THC/CBD ratio. Can it be done at home? Hello- there are many labs to have your oil tested, but depending on where you live you may have an easier time than others finding someone. Best would be to Google “Cannabis testing labs Northern California” or whatever geographic area you hail from. There’s a chain of custody when sending in samples, so it’s pretty legit. Good luck!